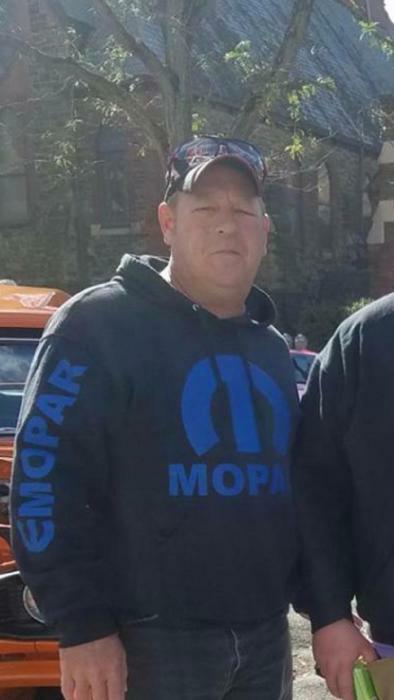 Obituary for William "Bill" Amsler | McEntire-Weaver Funeral Home Inc.
William “Bill” Amsler, 49, of Oil City passed away Friday, December 7, 2018 at his residence following an illness. Born April 26, 1969, in the Franklin Hospital, Bill was the son of Carolyn Amsler and the late Dale “Big Red” Amsler. Bill attended the Cranberry High School. He was employed at Allegheny Mountain Hardwoods. He also worked for Seneca Hardwoods and SFPC in Oil City. Bill was married on May 23, 2015 at the Henry’s Bend Chapel to the former Michelle English and she survives. Bill enjoyed working on cars with his dad. He was very passionate about his 67 Coronet and his dads 68 GTX. He was very old school with his muscle cars. He liked his big block 440 and he liked it very loud. Bill was a Steelers fan. He enjoyed playing ball and spending time with his family and friends and he was known for always helping others. Along with his mother Bill is survived by his wife Michelle, his daughter Courtney Amsler Toy and her husband Scott, his son Cameron Amsler and his stepson Jim Vogus. Also surviving are his sister Belinda Amsler Snyder and her husband Chris, his brother in law Joe English and his wife Jenn and his parents in law Mike and Linda English. Bill is also survived by his nieces and nephews Austin Snyder, Connor Snyder, Brandon English, Aaron English, Cheyenne Trauterman and Clarissa Cain and many aunts and uncles. The family will receive friends from 1 to 4 pm on Sunday, December 9th and 10 to 11 AM Monday December 10th at the McEntire-Weaver Funeral Home 504 East Penn Ave., Knox. Funeral services will be held at 11 AM Monday in the funeral home with Base Pastor Larry Deal of the Oil City First Church of God officiating. In lieu of flowers the family requests memorials be made to the Venango County Humane Society 286 S Main St, Seneca, PA 16346 or the Cancer Center at Clarion Hospital 150 Doctors Ln # 1, Clarion, PA 16214.